Do you require a storage unit for your upcoming move? Here are some tips from our Calgary relocation company on how to find the right self-storage facility for your items. Provides a safe and cost-effective place to keep your possessions. Allows you to declutter your home for a faster, and more efficient, house sale and move. Lowers your stress-levels and gives you a head start on the relocation process. 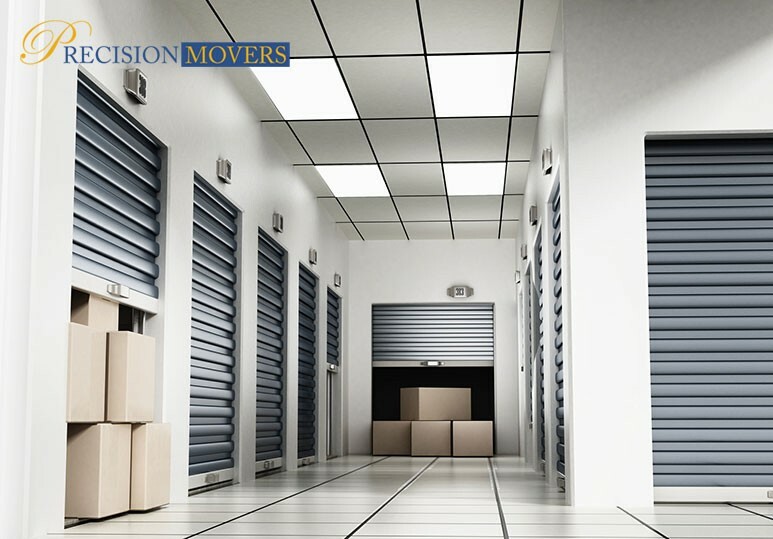 At Precision Movers, a leading relocation company in Calgary, we offer a wide range of moving services including assembling/disassembling furniture, packing, and transport, to help make your relocation as cost-effective, quick, and hassle-free as possible. Whether you’re decluttering your home, or moving into a smaller space, using a storage facility to house your belongings can be extremely beneficial. However, before you move all your items into a unit, you must do your homework to find the right unit for your needs. There are so many storage units to choose from and they can be found in a range of sizes and designs. With so many options, you must be very clear on what your needs are so you can find the right one. To begin with, make a list of all the things you plan on storing in your unit. Once you understand what you are storing, you’ll be better able to choose the right kind of unit. For example, important paperwork and heirlooms may require a climate controlled unit, while a car may need a storage facility with strong security. 2. Do You Require a Climate Controlled Unit? A climate controlled storage unit keeps the temperature within a certain range, and it controls for humidity. If you are keeping items such as antique family heirlooms or valuable instruments, then a climate controlled unit is very important to prevent mold and mildew. Keep in mind: A climate controlled unit will be more expensive, so you should only select this type of storage if you really need it. Larger storage units naturally cost more than smaller spaces, which is why it’s crucial to get a good idea of just how much space you’ll need, so you can avoid paying for extra and unused space. You may be planning to store more things over time, in which case it could be worthwhile paying for a larger unit. Some units are relatively narrow but with lots of vertical space. Others have low ceilings but are wider. You should decide which layout you prefer before selecting a unit. The rules of real estate apply to storage facilities and a unit located in the city centre will probably be more expensive than one further outside of town. You can save money by choosing a facility further away from the city, as long as you don’t need regular access to your items. Key Question: To choose the perfect location for your storage unit, you must consider just how many times you’ll need to visit the facility within the year. If you need regular access to your items, then you should consider getting storage unit closer to home. How secure you want the facility to be will depend highly on what you’re planning on storing there, but it’s always worthwhile to verify a company’s security measures before you sign up with them. To find out more about how Precision Movers can help with all your relocation and storage needs, contact our Calgary relocation company today at 403-540-4393 or fill in our online contact form.